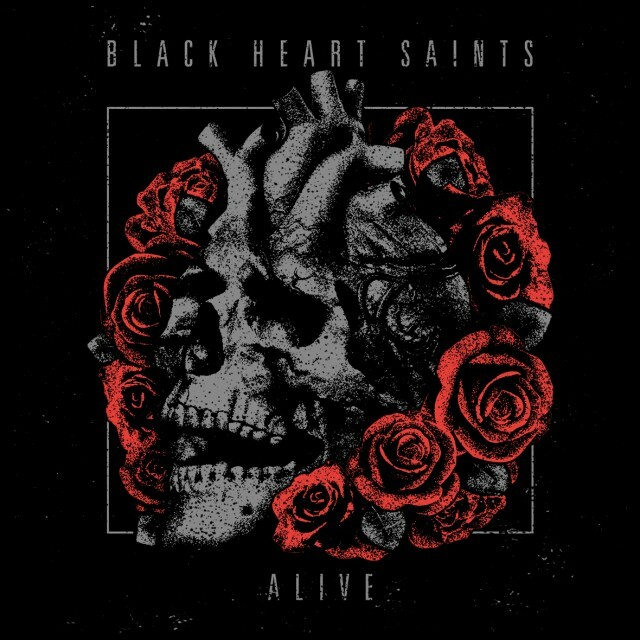 Austin, TX based Rock Band BLACK HEART SAINTS has released the official music video for the title track off of their 2017 released LP, Alive, which features a live performance of the foursome live. The band just finished their most recent tour, The Road to Sturgis Tour 2018, where they performed at the 78th annual Sturgis Motorcycle Rally, as well as opened for Faster Pussycat on August 19th, and will be supporting Slash & Myles Kennedy Featuring the Conspirators on September 24th. Both shows are in Austin, TX. Click HERE to Download “Alive” on iTunes HERE! Dangerous & dirty, with a distinct groove steeped in classic rock, yet with a modern edge, Black Heart Saints gives fans exactly what they want – rock god vocals catapulted over explosive, memorable riffs – leaving legions of the rock ‘n’ roll faithful yearning for more. After debuting at SXSW in 2014, this powerhouse quartet has been building a solid reputation as a support act for national touring bands such as Slash featuring Myles Kennedy & The Conspirators, Sevendust, Pop Evil, Nonpoint, Coheed and Cambria, Filter, POD, The Toadies, and more. The soaring vocals of front-man Josh Ross have drawn comparisons to Myles Kennedy and Chris Cornell. While the band is influenced by the likes of Mötley Crüe, Guns ‘N Roses, and other legendary Hard Rock acts, the commanding presence of Black Heart Saints’ live show brandishes an updated take on the genre. In 2014, Black Heart Saints represented their hometown at the ESPN X Games in Austin. 2015 kicked off with key performances during South by Southwest Festival, Texas Rockfest, and Fiesta Oyster Bake in San Antonio. The band also went back to the studio to record a string of upcoming singles produced by Omar Vallejo at Austin’s renowned 512 Studios. After debuting their first official music video for the hit single “Touch The Sky” on MTV, VEVO, and YouTube, Black Heart Saints is poised to launch a memorable international career with ambitions to dominate stages across the globe. Half-way through 2016, the band gained nationwide airplay on Sirius XM’s Octane and Faction channels. In 2017, the band received two major accolades: Black Heart Saints was chosen as Austin Music Foundation’s Artist of the Month, and received a spot in the top 10 Best New Bands in Austin Chronicle’s Austin Music Awards for 2016-2017. The band’s first full-length release – ALIVE – was soon followed by the Road to Sturgis Tour 2017, which put Black Heart Saints’ charismatic live performance to the test when the band took the stage at the world-renowned motorcycle rally, attended by over 500,000 bikers from all around the globe. Foreshadowing a successful 2018, Black Heart Saints embarked on an extensive tour to the West Coast beginning in January, which included a highlight performance at the legendary Viper Room in West Hollywood, California. Throughout the summer, the band was tapped to support some of the biggest names in rock — both new and old, including Steel Panther, Dokken, Jackyl, as well as upcoming arena acts Blacktop Mojo and Joyous Wolf. After a successful onslaught of summer shows, Black Heart Saints will enter the studio this fall to record an upcoming record that is destined to be a chart-topper.